Are you a fan of Pajanimals? Well I have a great giveaway for you! One winner will win a Pajanimals plush! Pajanimals DVDs, available through NCircle Entertainment at retail outlets nationwide, including the latest release, Pajanimals Playdate, as well as perennial favorites Meet the Pajanimals and Good Night Pajanimals· Parents can also share the fun of the Pajanimals Light in the Sky App with their toddlers. This interactive adaptation of the Light in the Sky episode,” developed by N Fusion Interactive, recently earned a coveted Parents’ Choice Award in the mobile app category. 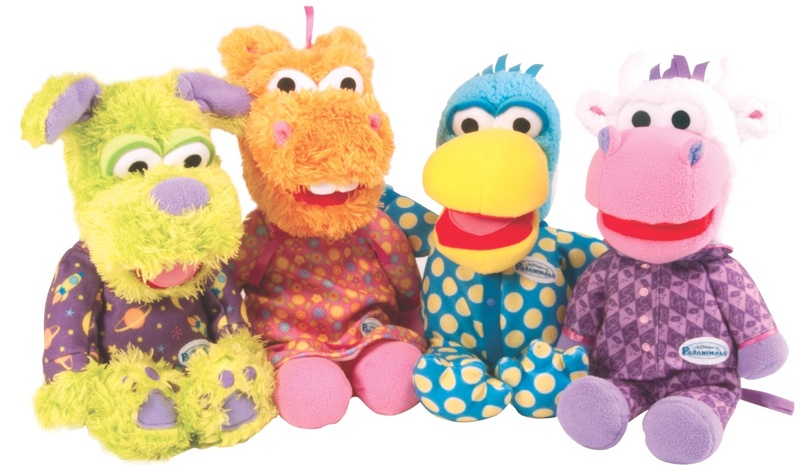 Pajanimals, co-produced by The Jim Henson Company, Sprout and Sixteen South Television, follows an adorable quartet of Henson puppets as they take young viewers on exciting imaginary adventures. With music and new friends in every story, Pajanimals teaches the skills that preschoolers need to move through their days successfully, especially getting ready for and going to bed. Pajanimals airs nightly at 8 p.m. ET on 24-hour preschool television channel Sprout® during its The Good Night Show programming block and also airs on NBC on Saturday mornings as part of the NBC Kids programming block. The great folks at Pajanimals are giving one of Susan’s Disney family readers a chance to win one 15” large plush of one of the adorable, huggable and cuddly Pajanimals characters Cowbella, Apollo, Sweetpea Sue and Squacky. Would you like to win? Please let me know what character is your favorite? There are also other ways to enter, please enter below. we love sweet pea sue most! My son likes Apollo! Thanks so much for the fantastic giveaway! Sweet Pea is our favorite. My favorite is Sweetpea Sue.